We are always looking at ourselves and question our facial imperfections: Why is my nose shaped in such a way? Why are my eyes not in equilibrium? Should I have fuller lips? Is my face shape attractive? Each day turns into a long string of rhetorical questions, which, leave us questioning whether we score high on the beauty scale. Building the confidence around our physical looks is challenging because we're tapping into sensitive areas. Just like a sensitive tooth biting into the ice cubes and ice cream, some of us find it hard to accept our "physical flaws" that can be intensely painful when people question a birthmark, a missing limb, a broken nose or, according to them, the "wrong face shape". It's the harsh comments and sometimes the imaginary voices ones that make us shrink from accepting ourselves: You've got to continuously remind yourself: YOU ARE UNIQUE. Yes, I know you're going to turn around and say easier said than done, right? I believe it can be executed (with patience) because it all boils down to the image in your mind's eye. You see, if you perceive yourself as worthless, ugly and not worthy of attention, then your thoughts will attract people who'll reflect that belief in you. But, the beauty about the mind is any idea or thought can be changed at our will. So, shall we take the 1st step to a beautiful and confident you? Here's an NLP technique tip I suggest you try: Imagine yourself as you are in your mind's eye. 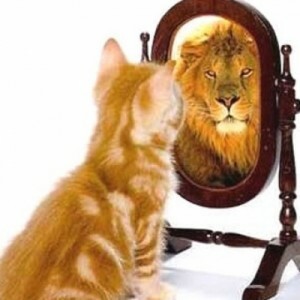 Rehearse the mental image of yourself as perfect, whole and lovable - make that image strong, colourful and believe in it. Each time a negative thought or idea pops in, imagine the mouse cursor dragging the image and placing it at the far right hand corner, continuously reducing the size. Try keeping the focus through relaxing meditaiton music and deep breathing. How did the NLP In depth schooling lead? I professional neuro linguistic programming modifying a predicament just by switching my reaction to it.